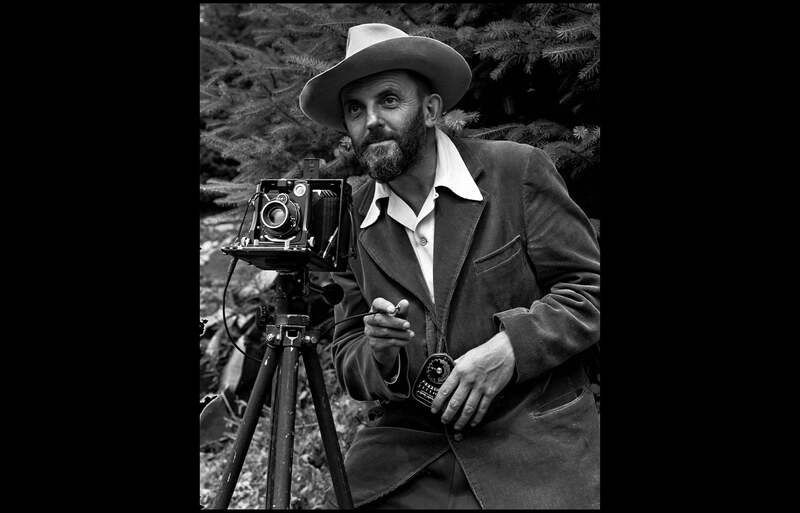 The great American photographer and conservationist, Ansel Adams was born 115 years ago today. For many photographers--especially landscape photographers--Adams was their main inspiration to picking up a camera. Adams work is certainly well known. His process, the way he worked and the gear he used, is less decidedly less so today. For most of his career traveling in and documenting the American West, Adams photographed with a view camera. Like today’s mirrorless technology, there was no reflex system in a view camera. 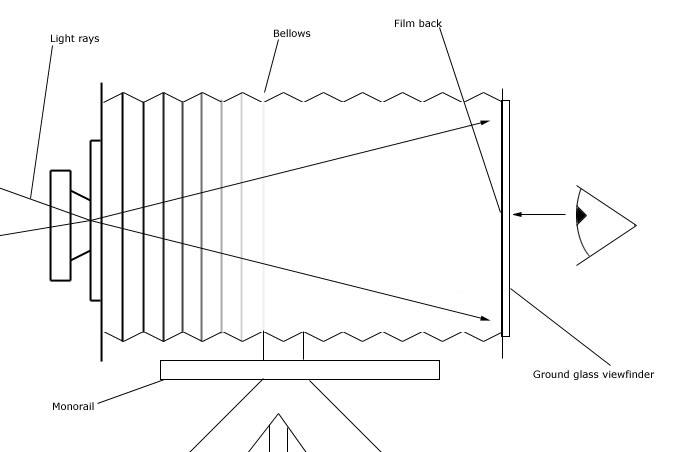 The light passed through the lens and was projected directly onto the image plane—a ground glass until the film holder was inserted—where Adams fine-tuned the composition and where he carefully observed the depth of field. Simple digram of a view camera shows the light path to the image plane. Like today’s Sony mirrorless digital cameras, the view camera let the photographer see exactly what the final image would look like. The edge that technology gives us today is that with Setting Effect set to On in the camera's menu, we can see how the exposure changes when ISO and shutter speed are dialed in. With his view camera, Adams could observe the depth of field change as he manipulated the lens’ f-stop, but as he stopped down, the image would become darker and more difficult to see. Like the view camera, this Sony α7 II doesn't have any obstructions in the light path between the lens and the sensor. Even with that challenge (and the fact that the image on the ground glass appeared upside down and backwards), the view camera, like the modern mirrorless digital camera, gave Adams a true WYSIWYG shooting experience. 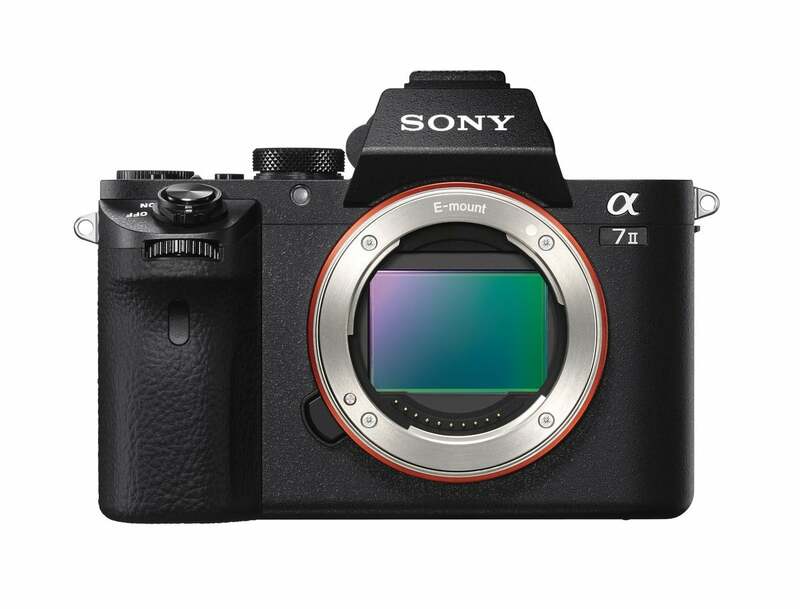 The other similarity between Adams's process and the working with a Sony mirrorless digital camera is in the lenses. Adams wasn't stuck with any particular lens manufacturer. His view camera lenses were attached to a shutter mechanism which was mounted onto a generic lens board. In essence this was an adapter that enabled him to use any large-format lens...a trait he took full advantage of in his long and prolific career. Because of the short flange distance in a modern Sony mirrorless camera, it's possible to adapt all sorts of lenses to the system and use the complete focal range. If you want to make your mirrorless even more like a view camera, you can adapt a tilt/shift lens. Modern landscape photographers shooting with Sony mirrorless cameras are able to draw a direct line from the way Adams worked to their process. Adams and his contemporaries using their view cameras were the true mirrorless originals. A photo of a bearded Ansel Adams with a camera on a tripod and a light meter in his hand. The photo was taken by J. Malcolm Greany, probably in 1947.